BOSTON, MASS. – The weekend of November 10-12 was meant for book lovers – and map lovers – and manuscript lovers, etc. 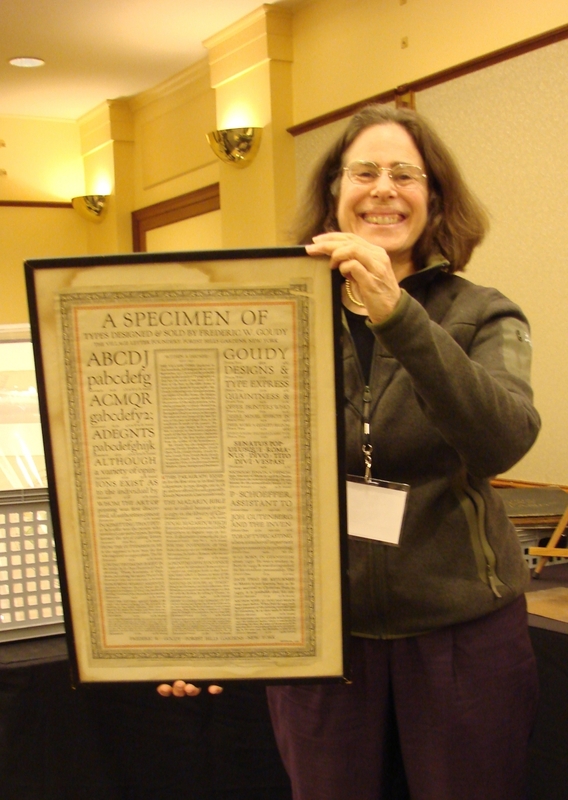 Once again, the Boston International Antiquarian Book Fair was back at the Hynes Auditorium with 128 exhibitors from all over the world. Marv Getman’s Boston Satellite Book Fair, with 65 dealers, was conducted a few blocks from the Hynes, and Skinner’s fine book and manuscript auction, within walking distance of both, brought in $788,750. 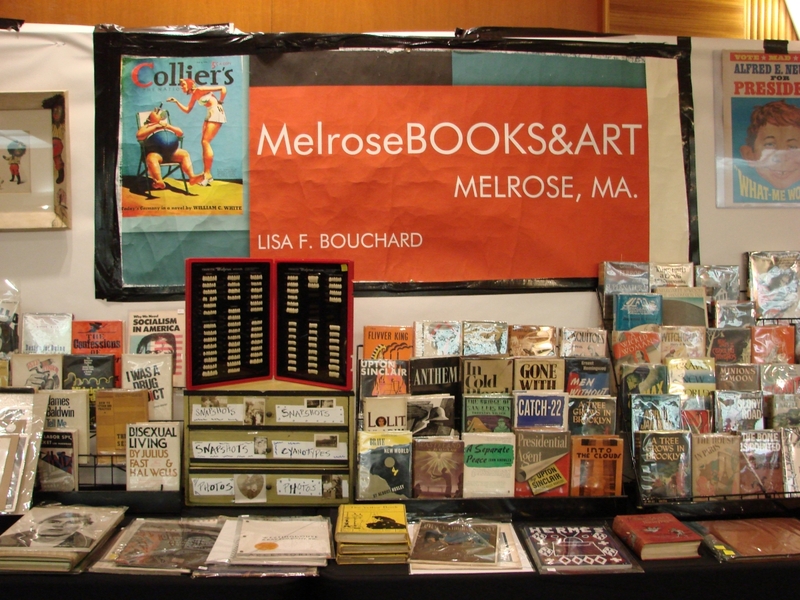 If you were in the market for $300/400,000 books, or even $25 books, you would have had many from which to choose at the Boston Book Fair. 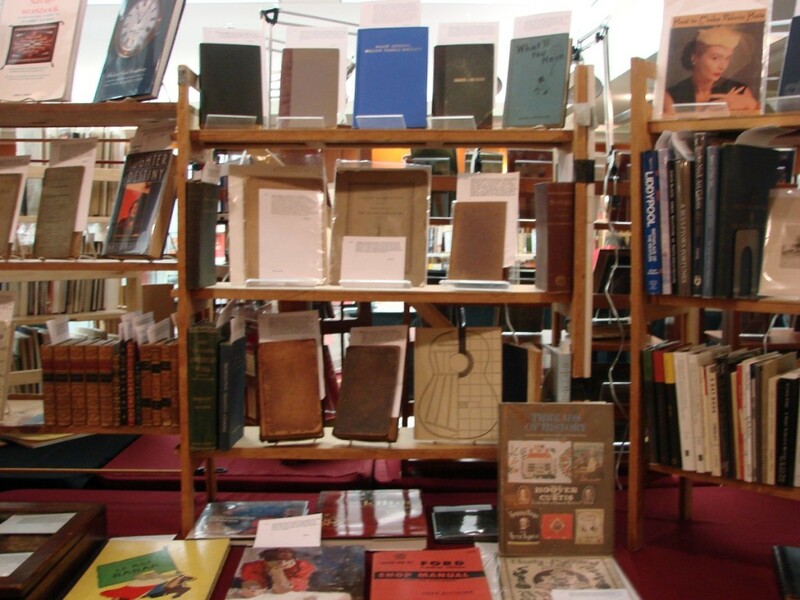 The 41st edition of the three -day show, sponsored by the Antiquarian Booksellers’ Association of America (ABAA), counted among its 128 exhibitors a total of 31 from other countries: Argentina, Australia, Canada, Denmark, France, Germany, Netherlands, Russia, Spain and the United Kingdom. More than 4,500 people attended. The ABAA works hard to get new buyers to the show. Admission is free to all on Saturday and Sunday, with an admission fee charged only for the Friday evening preview. 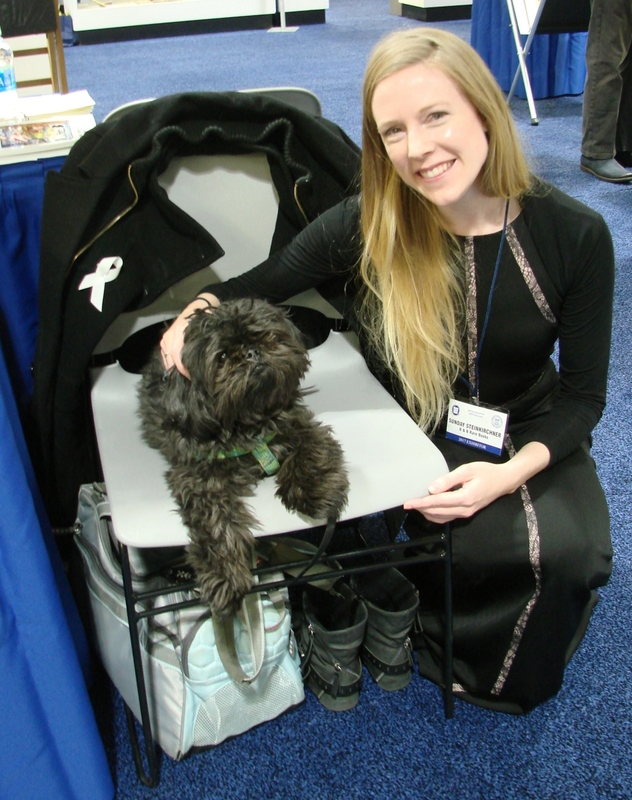 The sponsor also encourages exhibitors to segregate, and sign appropriately, “Discovery” books – those priced under $200. The catalog for the show, in addition to listing exhibitors and booth numbers, also lists dealers by specialty, so that buyers can easily find the dealers that may have material of interest. Some of the listed specialties include: illuminated manuscripts, gastronomy, fantasy, maps, medicine, Mormonism, science, science fiction, etc. There was also a full schedule of workshops and lectures throughout the three days, including a well-attended one by Ricky Jay, illusionist, author and actor. The price range of items offered is wide. Boston’s Brattle Book Shop used the “Discovery” promotion to create a shelf of Eighteenth and Nineteenth Century books priced at $25. 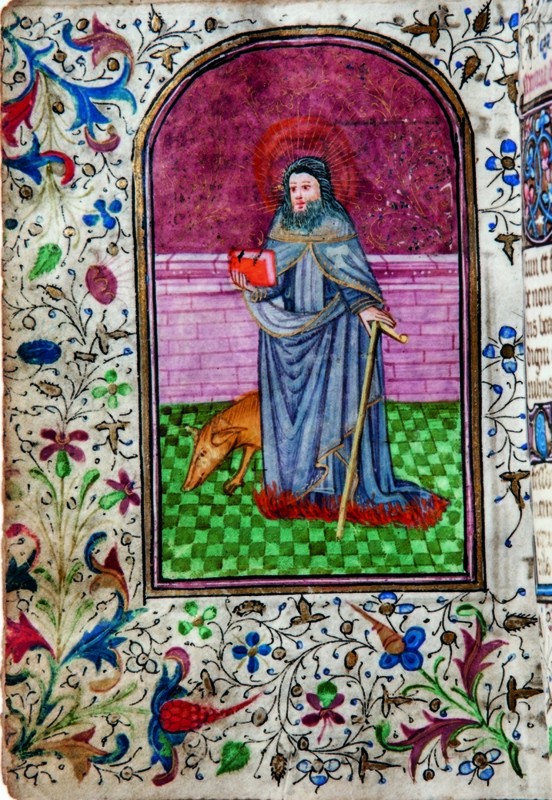 At the other end of the spectrum, according to Scott DeWolfe, who chairs the ABAA show committee, Les Enluminures, New York dealers specializing in illuminated manuscripts, had one priced at $900,000. The mention of “catalog” in the preceding sentence is worth commenting on. Many of the exhibitors at this show prepare extensive catalogs describing the things they have brought to the show. 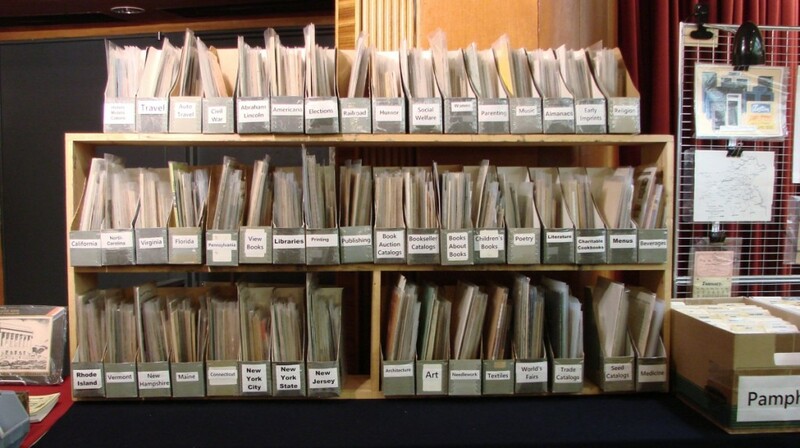 Heald’s catalog lists 100 items, with prices, and descriptions are extensive, many are full page. 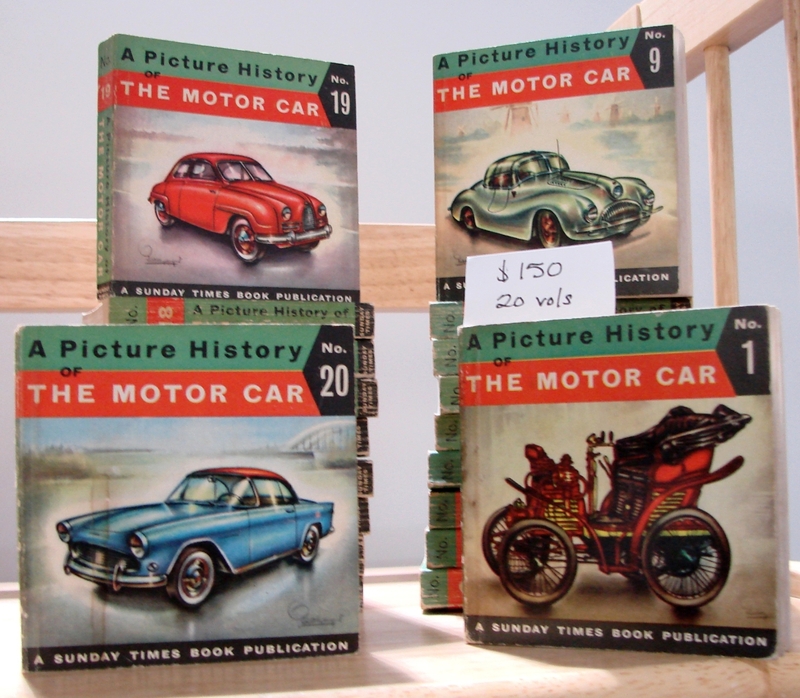 Catalogs of several dealers are illustrated and all are free. They are very informative and a real plus for the book lover. 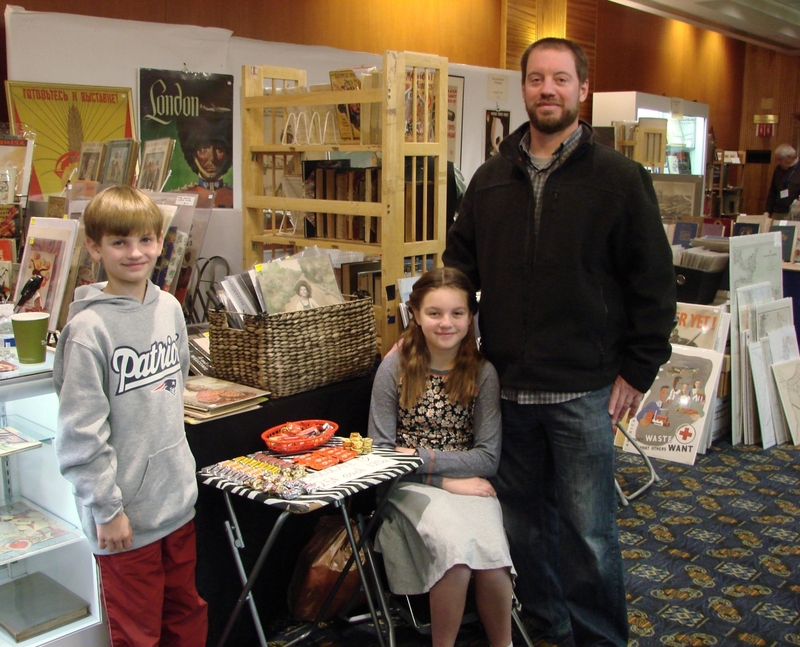 In addition to catalogs of material offered at the show, many exhibitors distribute past shop catalogs, which are often very specific. 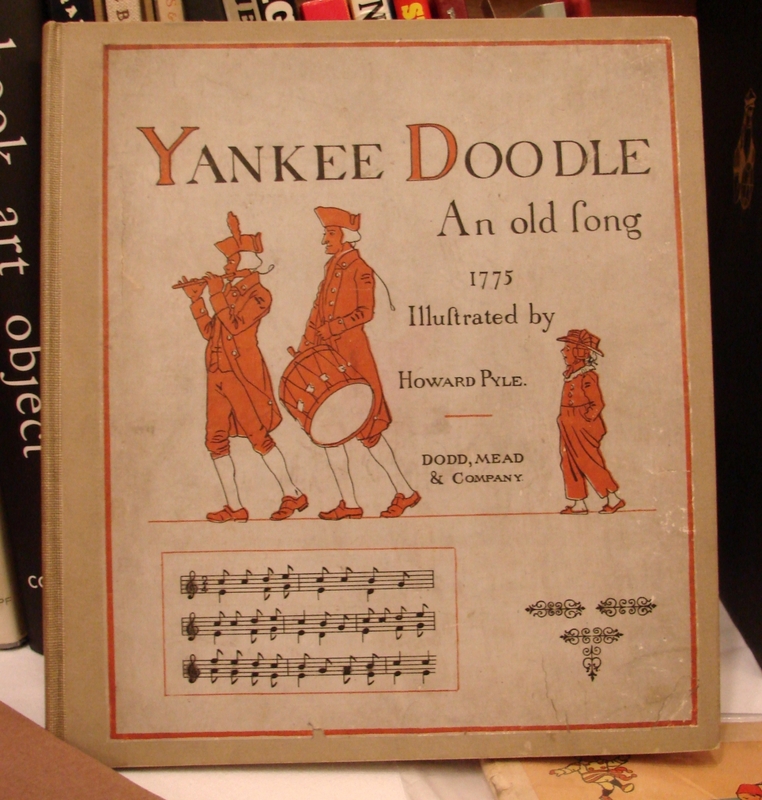 For example, John Windle Antiquarian Bookseller from San Francisco had copies of his recent 142-page catalog devoted to artwork and books by William Blake and his circle. It listed more than 350 Blake-related items, many of which are illustrated. 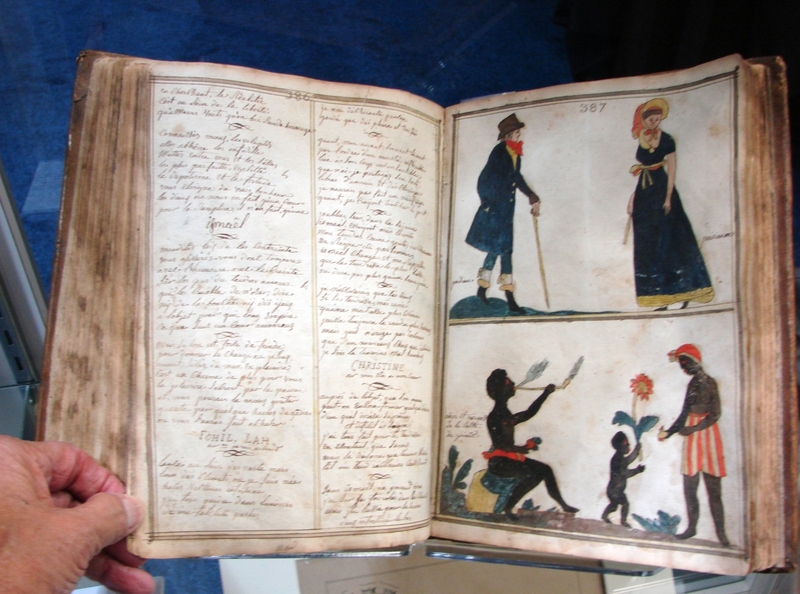 Windle specializes in Blake, and he had a 1789 first edition of Blake’s “Songs Of Innocence, A Cradle Song” with two relief etchings and extensive hand coloring, priced at $250,000. 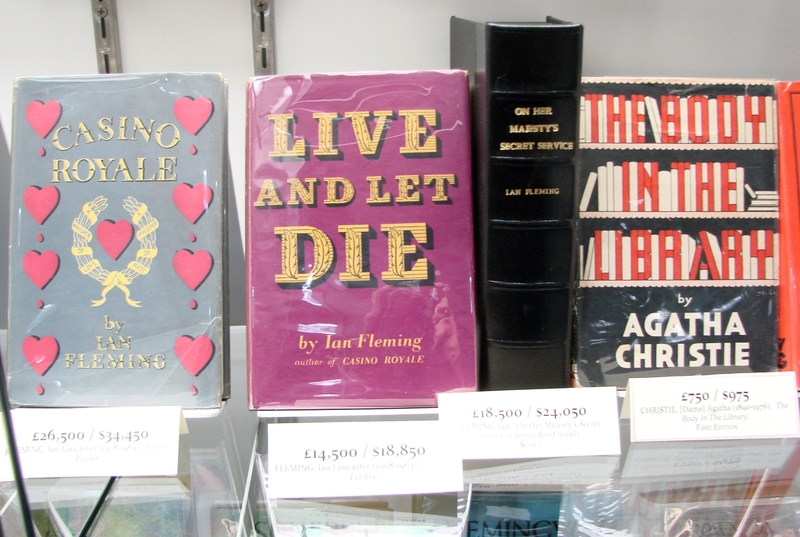 Shoppers at the book fair had an opportunity to examine books that they might otherwise not be likely to come across. Sebastian Hidalgo Sola, HS Rare Books, from Argentina, specializes in Spanish language books and books documenting the history of Spanish-speaking countries. For example, he offered an 1859 copy of Episodios de la guerra de Africa, a plate book documenting the Spanish Moroccan War, also known as the War of Africa. The book included 28 lithographed plates, 24 of which were in color, with scenes of the war, which began as a boundary dispute and was fought in Morocco. The book was priced at $14,000. His offerings included the first book printed in Spanish about America, which included the first use in Spanish of the word “America” and a guide to sailing in the “recently discovered American waters.” It was published in 1546 and was priced at $105,000. Last year, the Chicago Map Fair ran the same dates as this show, and as a result, most map dealers did the Chicago show. 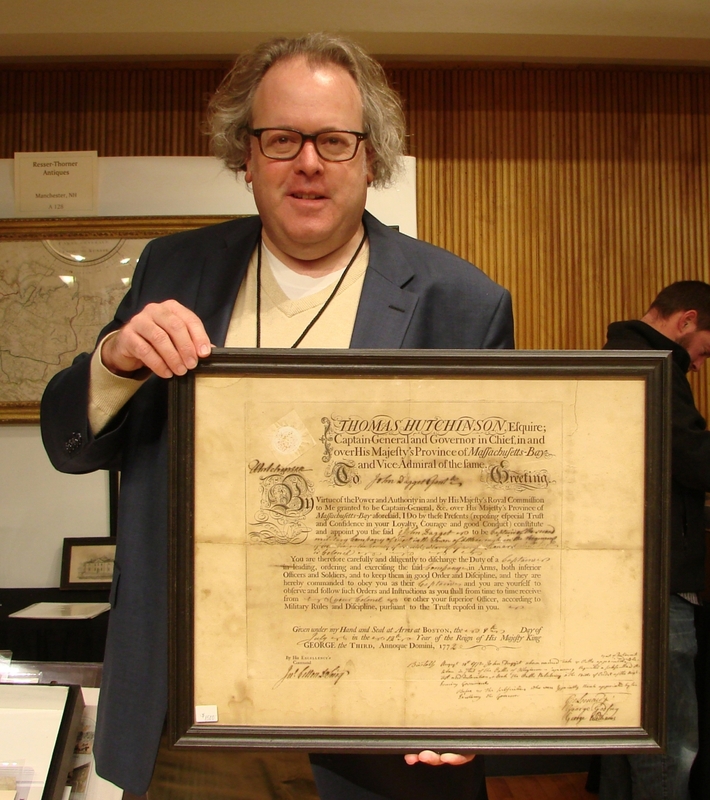 This year, without a show in Chicago, several map dealers participated. 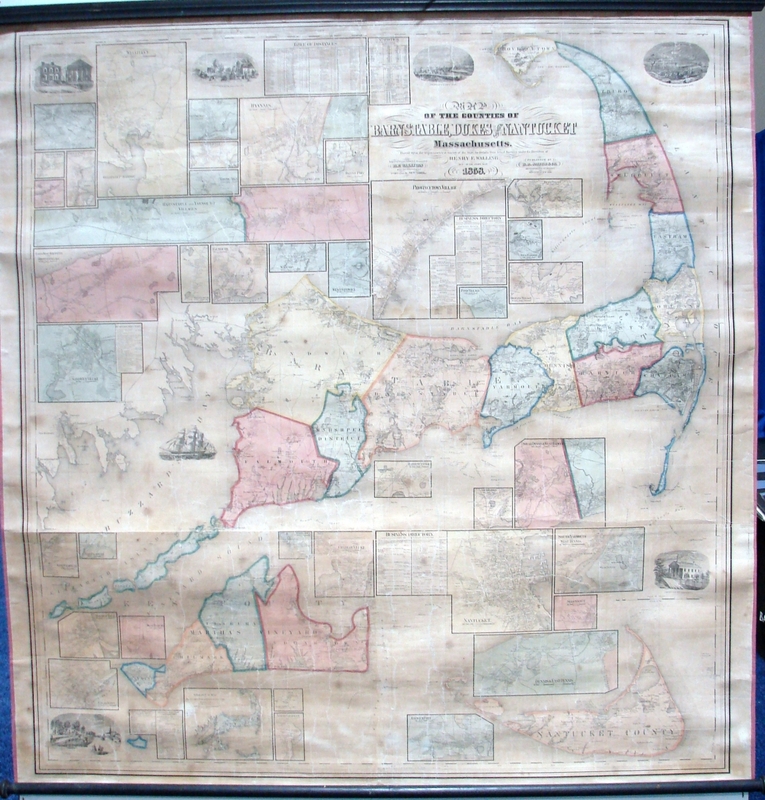 Barry Lawrence Ruderman Antiquarian Maps offered a large 1858 wall map of the counties of Nantucket, Barnstable and Duke, published by Henry Walling. Walling maps include identification and location of all homes and businesses and often, as in this example, include several large-scale insets of individual towns. 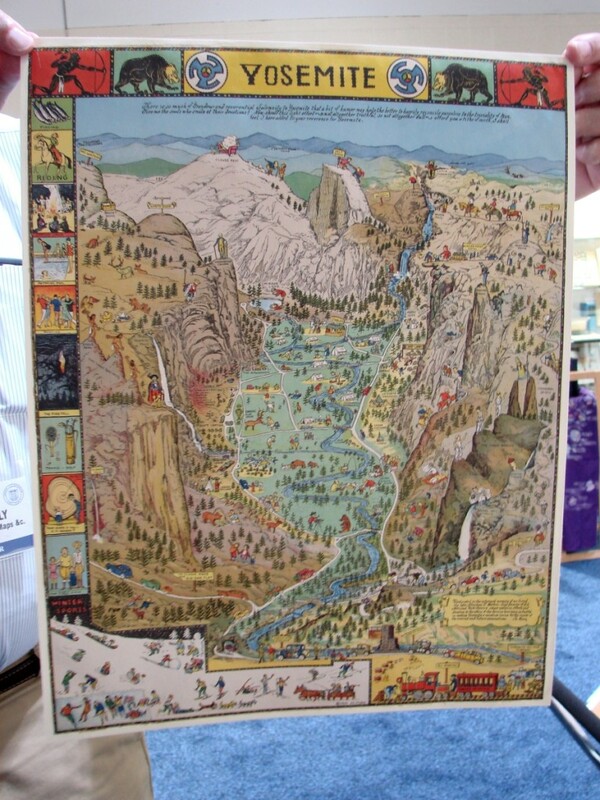 The result is an important historical document, and Ruderman priced this map at $8,500. 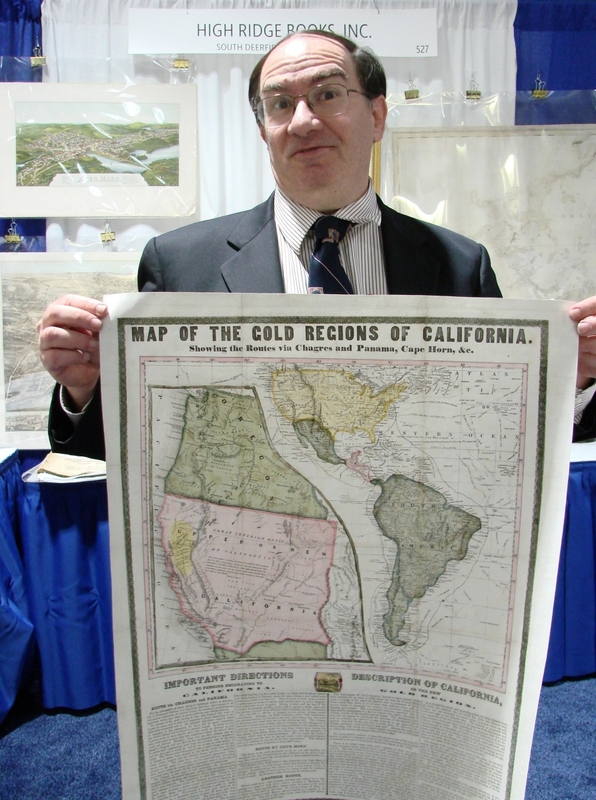 High Ridge Books, South Deerfield, Mass., priced an 1849 map of the Gold Fields of California, which included directions for those planning to go and information about California, at $7,500. 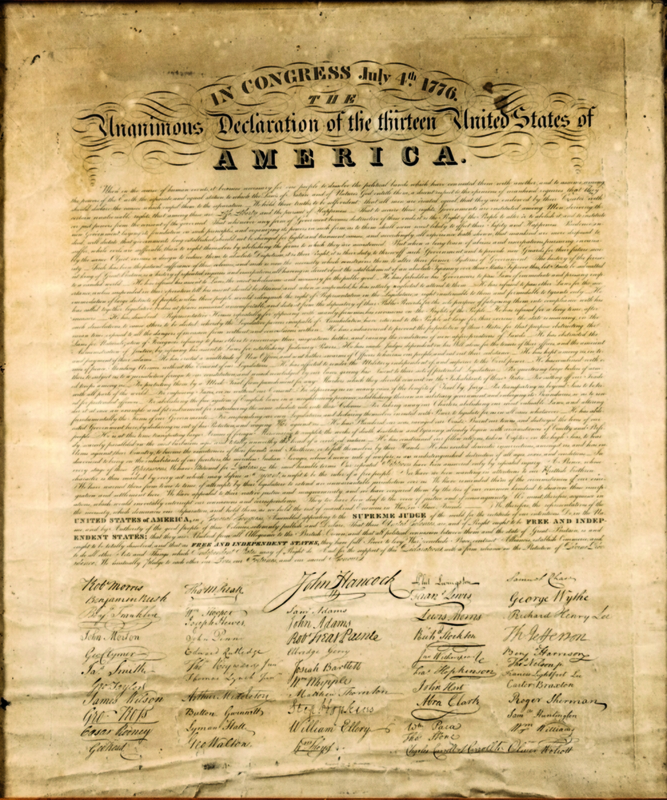 More than a half million Americans hoped to strike it rich, and several maps and books were published to encourage and inform them. Some writers have suggested that those who made the most money in the gold fields were those supplying equipment and provisions to the miners. 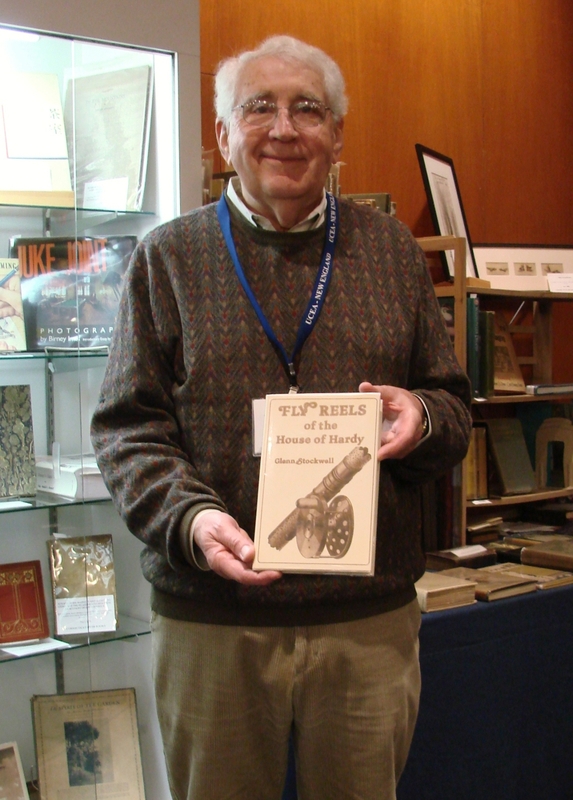 Jeff Hirsh Books, from Wadsworth, Ill., specializes in modern first editions, literary broadsides and photography. Hirsh had a full run of Aspen Magazine, a multimedia journal that published ten issues in the mid-1960s. Most issues focused on themes, such as “Performance Art in New York” and complete runs are not common. It was priced at $12,500. Ansel Adams’ 1950 My Camera in the National Parks was priced at $1,500, and his 1944 work, Born Free and Equal: The Story of Loyal Japanese Americans, was priced at $2,000. This book depicted the lives of Japanese Americans interred during the war in the Mazanar War Relocation Center. He also had a first edition of Jacob Riis’ 1890 landmark study of immigrant living conditions in New York. How The Other Half Lives: Studies Among the Tenements of New York was priced at $2,000. For information, 212-944-8291 or www.abaa.org. At 8 am on November 11, the satellite show opened just a few blocks from the Hynes Auditorium. The scheduling of this show allows dealers from the ABAA show at the Hynes to shop before theirs opens at noon and many did. The merchandise offered was varied, the quality was high, but the six-figure prices were missing. There was a variety of ephemera in several booths, children’s books and games were available, as were antique reference books, maps, photographica, manuscripts, Americana, early prints, mysteries, cook books, books on fishing, cycling, mountain climbing and many other subjects. 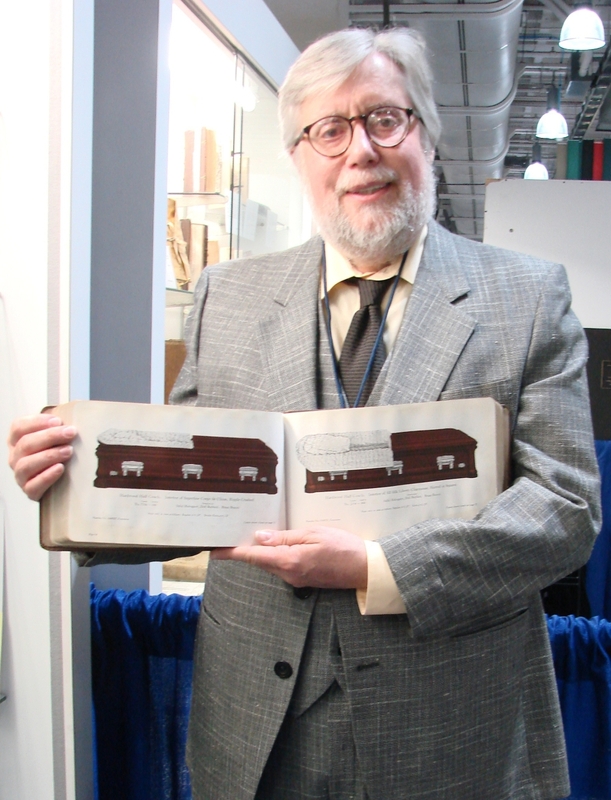 Dave Meikle, Archway Books, Dover, N.H., had three photograph albums documenting a 1911 trip around the world by Harvard graduate Frederick Ayer, whose father was an owner of the American Woolen Company. 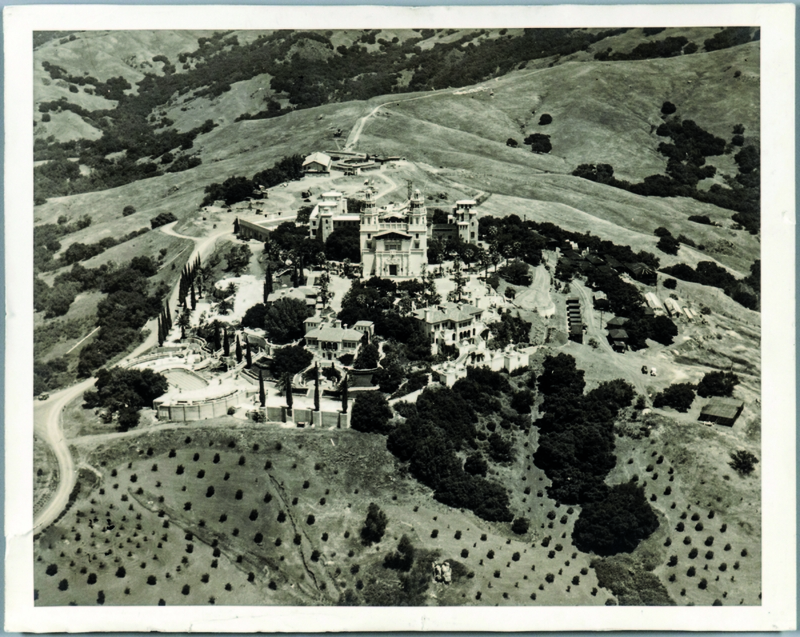 More than 500 photos documented Ayers’ trip to China, Kenya, India, climbing the Matterhorn, hunting lions and tigers and more. Included were his notebooks and the paperwork for the Kenya safari. It was priced at $12,500. 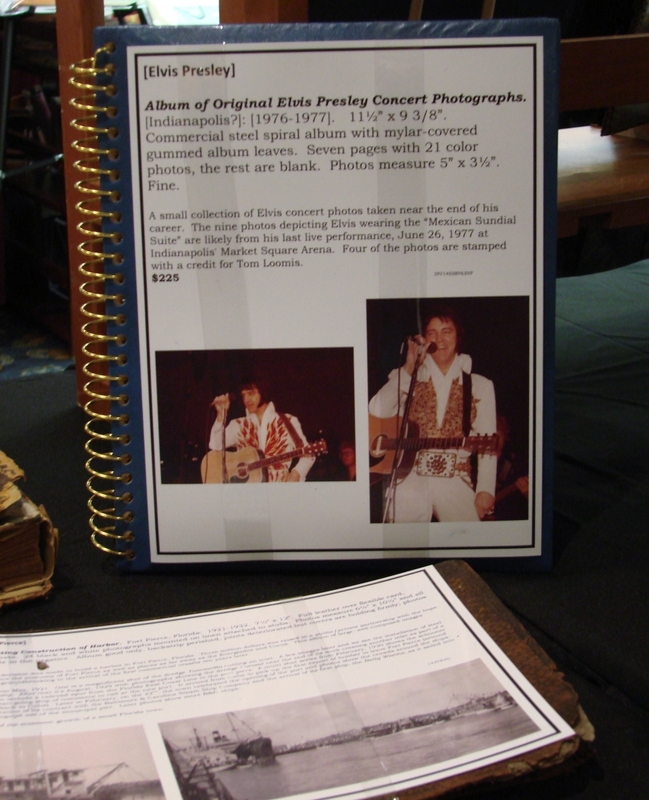 Another interesting photo album contained more than 20 color photos of Elvis, taken at an Indianapolis concert in 1976 or 1977. Adam Schachter, Langdon Manor Books, Houston, price the album at $225. 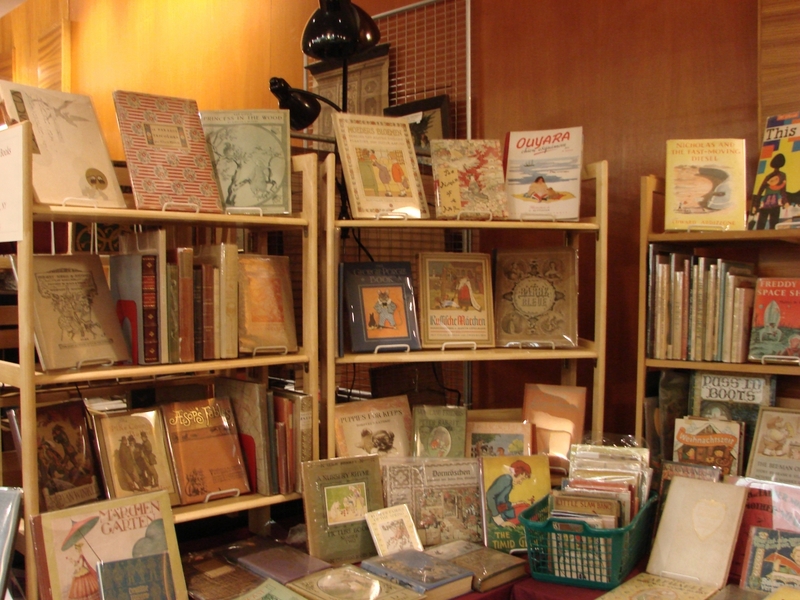 Several dealers had early children’s books. 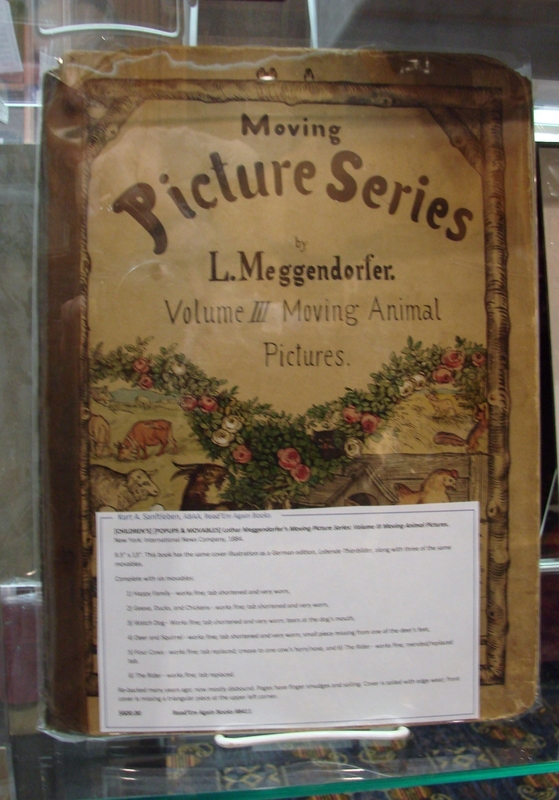 Kurt Sanftleben, Montclair, Va., had several late Nineteenth Century “toy books,” including a rare moveable book by Lothar Meggendorfer, Moving Picture Series, Volume III Moving Animal Pictures, which he priced at $600. 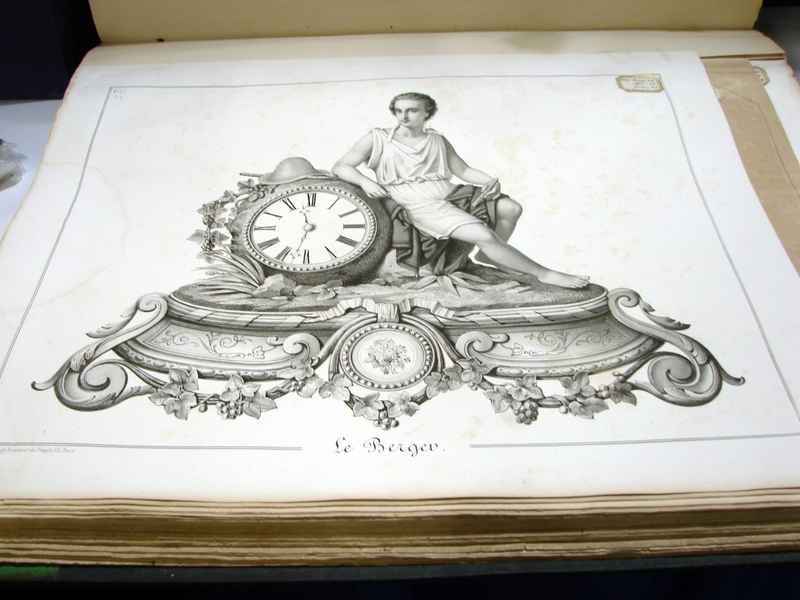 Meggendorfer is considered to have produced the finest moveable books, and this had six plates. 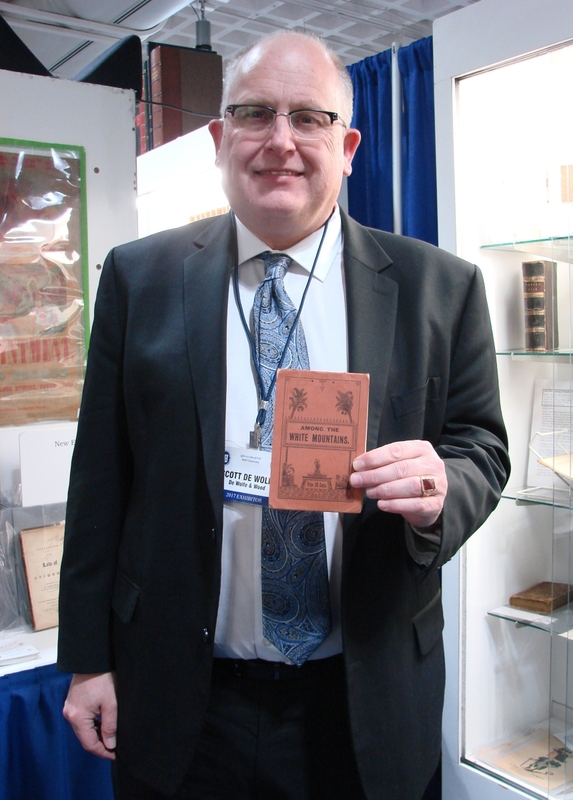 Sanftleben also had a selection of moveable trade cards, including a Durham Tobacco example priced at $125. Bob Ritchie, Dogtown Books, Gloucester Mass., brought a large colored lithograph of the “Festivities on Boston Common to celebrate the piping of water into the city of Boston in 1846.” Daniel Webster, a military band and a large crowd are pictured. 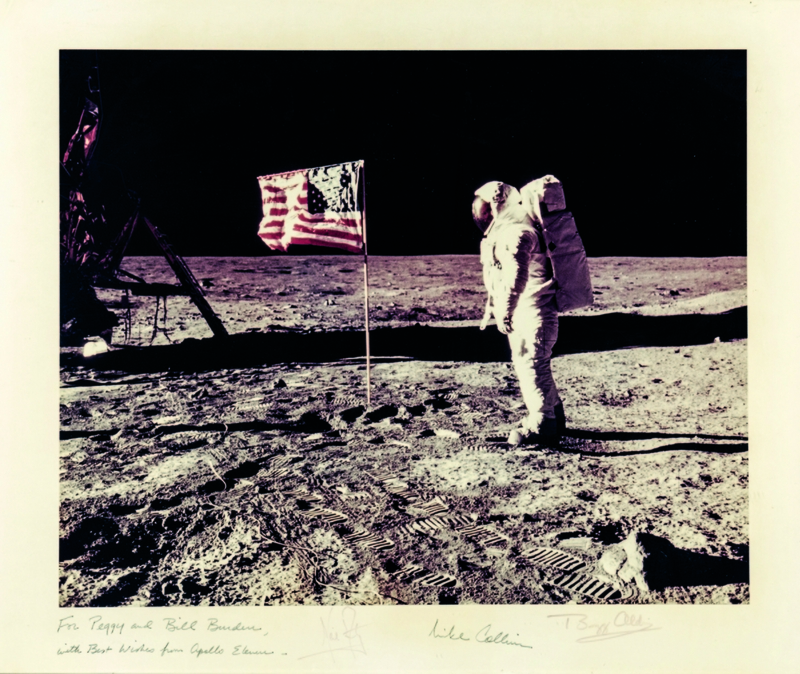 Ritchie said that only two other copies of this print are known, and he priced it at $1,500. Ritchie also had one of the scarcest books on American printed textiles, Threads of History, A Compilation of American History Recorded on Cloth 1775 to the Present by Collins, and it was priced at a reasonable $190. Other dealers had books on antiques. 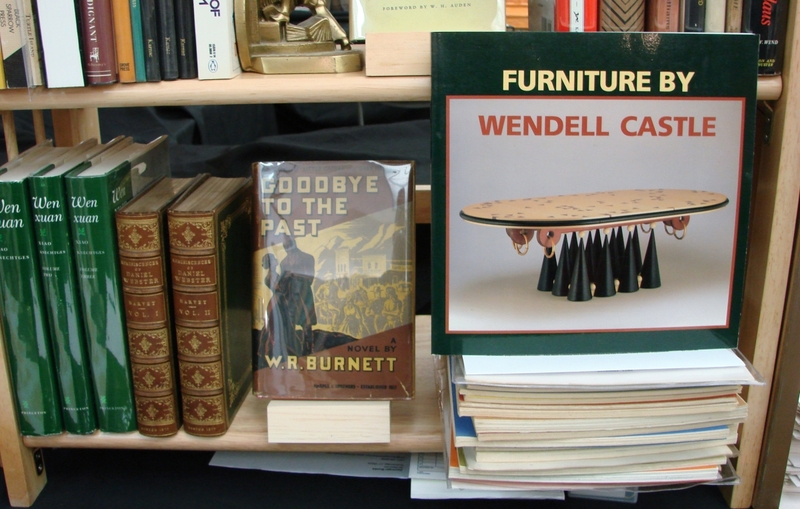 Derringer Books, Woodbridge, Conn., had a catalog of a 1990 exhibit at the Detroit Institute of Arts devoted to Modern furniture maker Wendell Castle. It was priced at $150. 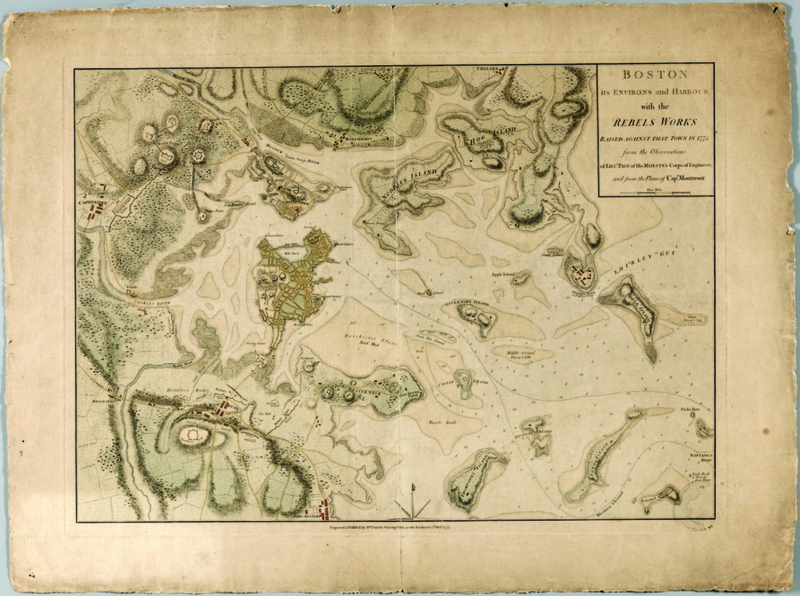 Carol Spack had an interesting and scarce map, or chart, with connections to the China trade. It was a 75-by-39-inch survey chart of the Chinese coast from Canton to Nanking. Published in 1865 in London, drawn from British admiralty surveys, it showed all the major harbors, including Hong Kong, used by western traders. It provided ship captains with all the information they needed about tides, depth of harbors, the composition of the bottom-mud, sand, shell – and the effect of the spring tides. Spack said she had not been able to find any sales records, going back to 1865, for this map. 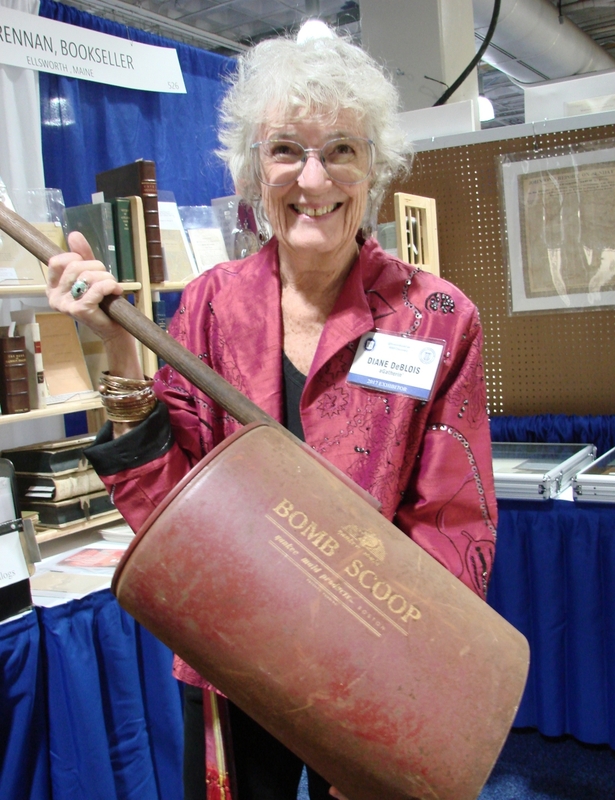 Getman’s shows are relatively inexpensive, and at least one dealer said that it was her first New England show. Sandy Hoekstra said she had just opened her shop in Thomaston, Maine, a few days before the show. She had moved from Texas, where she had been selling books and doing shows for about 15 years. Why Thomaston? “It’s a very pretty town, with lots of old houses,” she explained. “We often drove through it and decided it was time for a change. Real estate prices are reasonable, and we were able to find a nice house right on Route 1. So we did it.” Her inventory included a wide selection of Nineteenth Century children’s books that were reasonably priced. 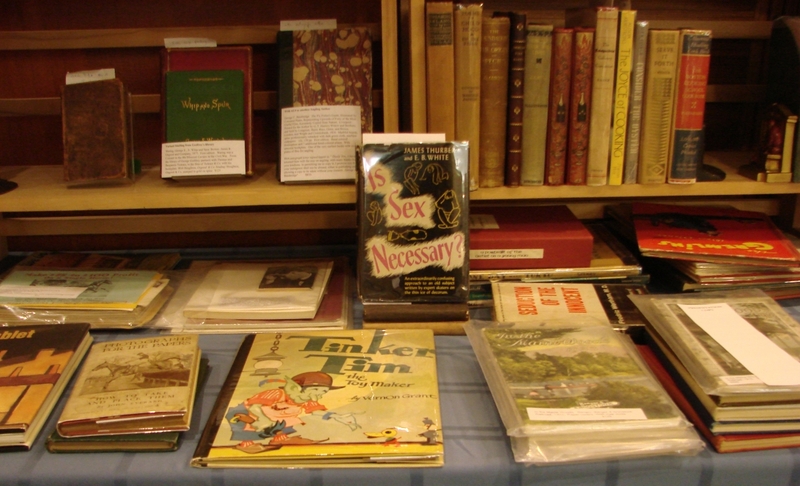 Skinner’s fine book and manuscript department runs two sales a year, one of which always coincides with the two book fairs. 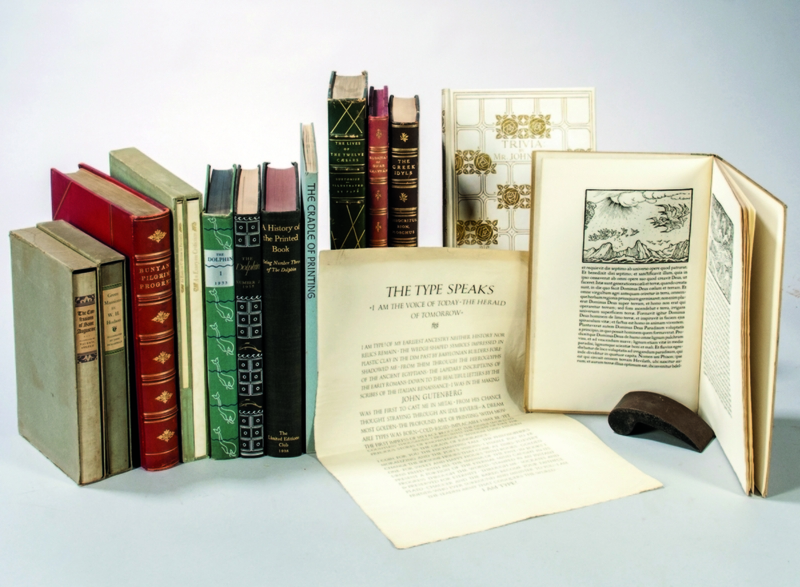 The firm’s November 12 sale had a strong component of historical manuscripts, prints, historical photographs and ephemera and, of course, a wide selection of first editions, limited editions, signed books and other works in the fields of science, literature, natural history, art, etc. It grossed $788,750. Henry David Thoreau lived in Concord, Mass., just a few miles from Boston, so it is not surprising that Thoreau material keeps turning up. The same holds true for material relating to John F. Kennedy and family. 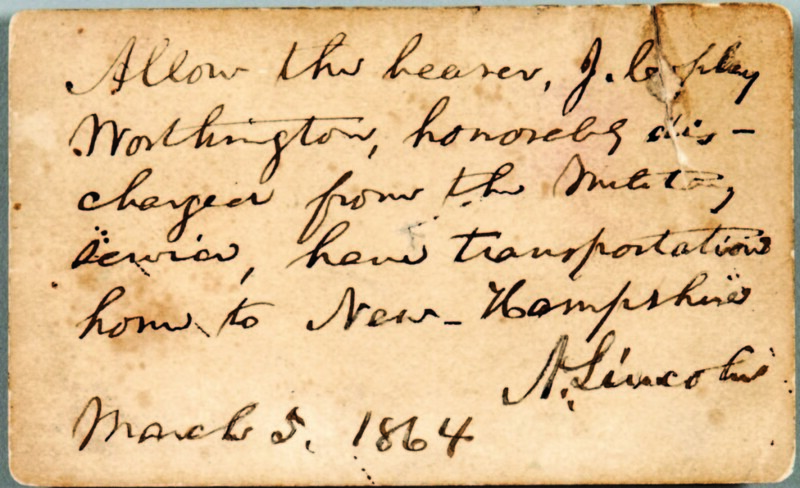 Included with the Thoreau offerings were three hand-drawn and signed surveys. He did a number of such surveys, and his surveying equipment is in the Concord Antiquarian Society museum. 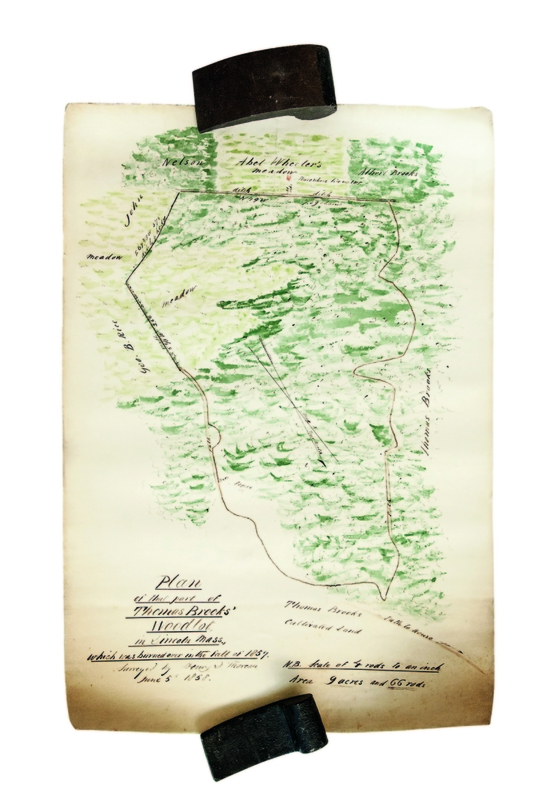 One of the surveys, “Plan of that Part of Thomas Brooks’ Woodlot, in Lincoln, Mass, which was burned over in the fall of 1857, June 5, 1858,” was drawn in brown ink and finished in watercolors. Few of his works are colored, and this one sold for $28,290. Neighbors were identified, and the plan included paths, fences, stonewalls, etc. The other two surveys, without color, brought $15,990 and $11,070. A first edition of Thoreau’s The Maine Woods, bound in the original publisher’s blue cloth, earned $2,460. 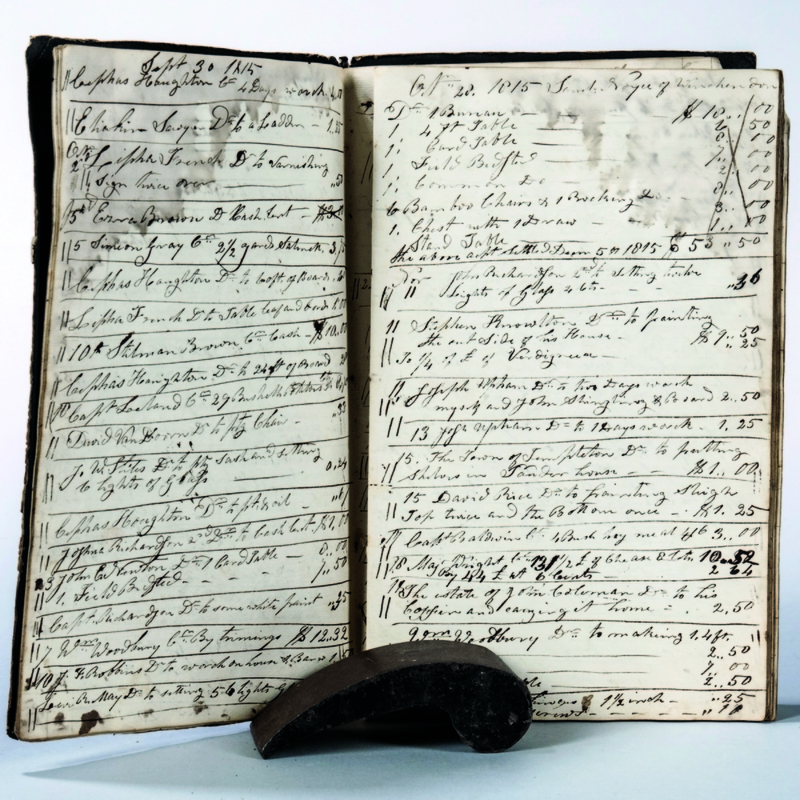 An item of interest to students of American furniture was an account book of approximately 100 pages belonging to Benjamin Hawkes (1788-1860), carpenter and cabinetmaker of Templeton, Mass., recording his transactions from about 1814 to 1820. It listed dates, customers, nature and prices charged for his work, including the making of chests of drawers, tables, bedsteads, bamboo chairs, rocking chairs, and other furniture, and his purchase of supplies: boiled oil, ash and oak planks, nails, etc. It listed some of his other work, such as the making, mending and painting of sleighs and wagons, coffin-making, painting and papering houses and outsourced work, such as the setting of glass in cabinet doors. 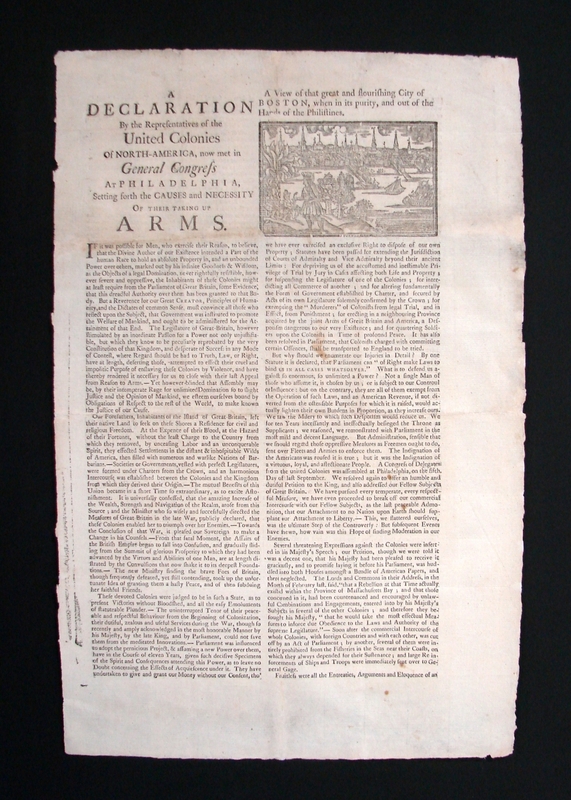 It was part of a lot of manuscript material relating to the town and seemed quite reasonable, finishing at $1,107. The JFK material included a particularly poignant book. JFK and Jackie prepared an edition of Inaugural Addresses of the Presidents of the United States from George Washington to John F. Kennedy. The book was published by the Government Printing Office in 1961 and there are numerous inexpensive copies on the internet. This copy, however, was one of 85 bound in leather and tooled in gold with the presidential seal. It was inscribed in Jackie’s hand “For Bill, Jack was going to give you this for Christmas. Please accept it now from me. With my love, for all you did for Jack. 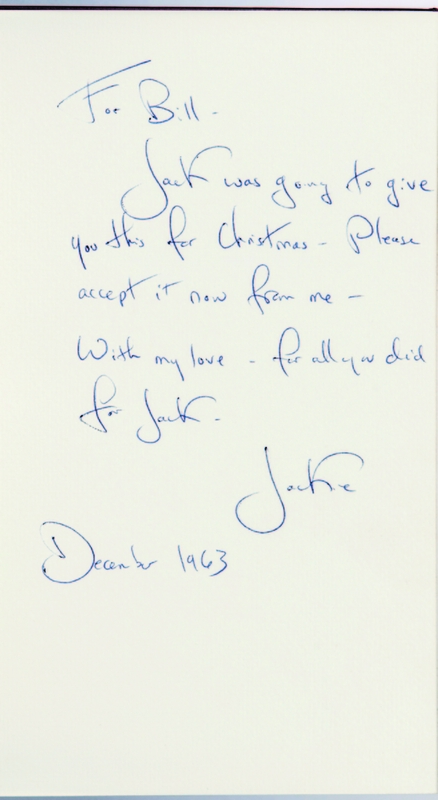 December 1963, Jackie.” Note that the date is shortly after the assassination. The book realized $11,070. A limited edition copy of The White House, An Historic Guide, signed by both Kennedys and with an inscription in Jackie’s hand, brought $10,455. A signed presentation copy of JFK’s Profiles in Courage, realized $6,675. 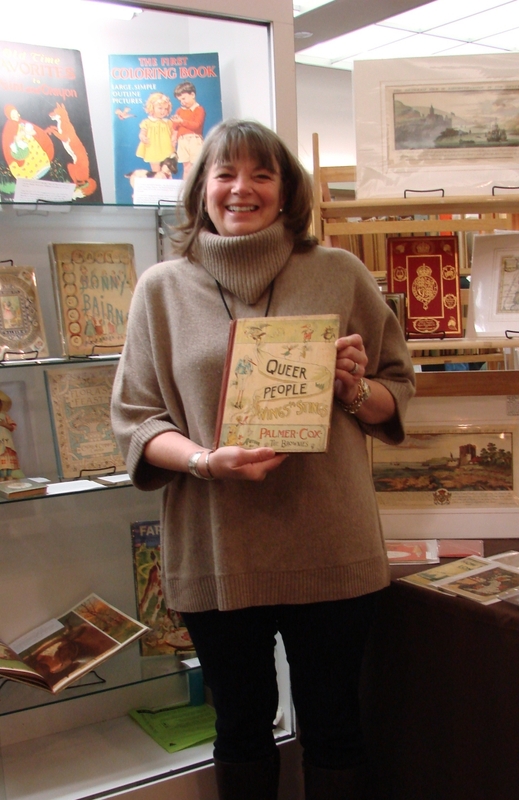 When Devon Eastland, the director of Skinner’s book division, was asked what she liked best in the sale, she said, “I like the unique items. 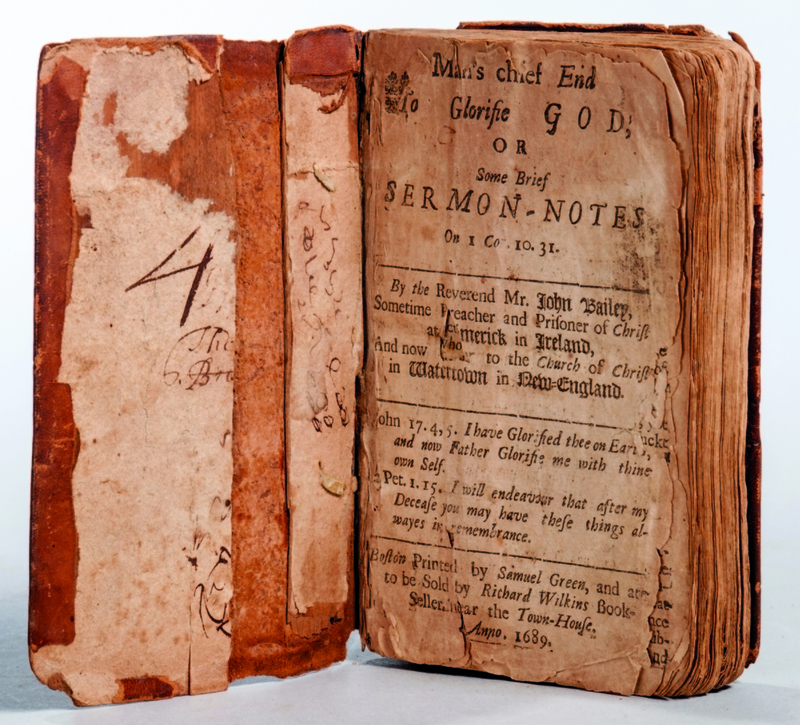 We have a copy of Man’s Chief End to Glorifie God, or Some Brief Sermon-Notes on I Cor. 10 31. It was written by nonconformist clergyman John Bailey and was published in Boston in 1689. 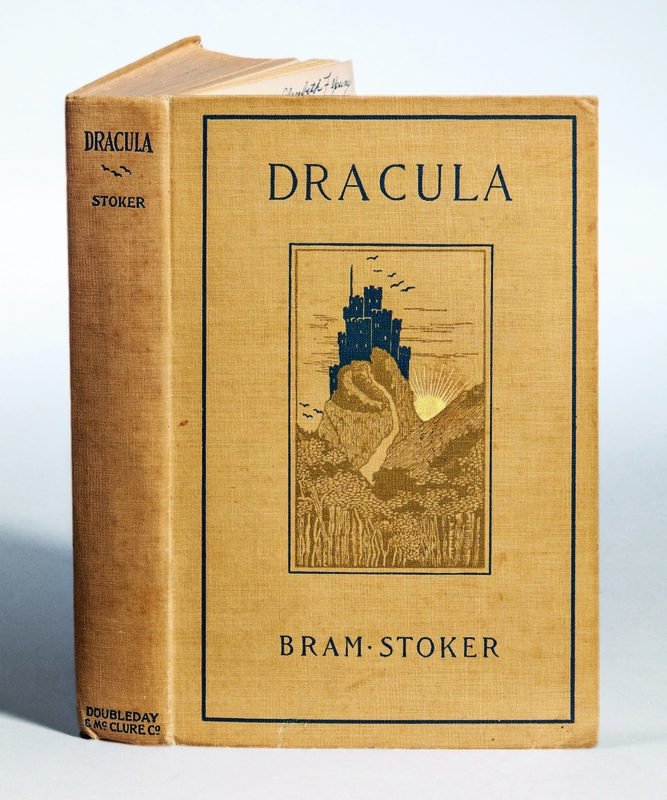 The last time a copy of this book was offered at auction was in 1938. Our copy is missing two pages, but it’s so rare.” It earned $2,789. 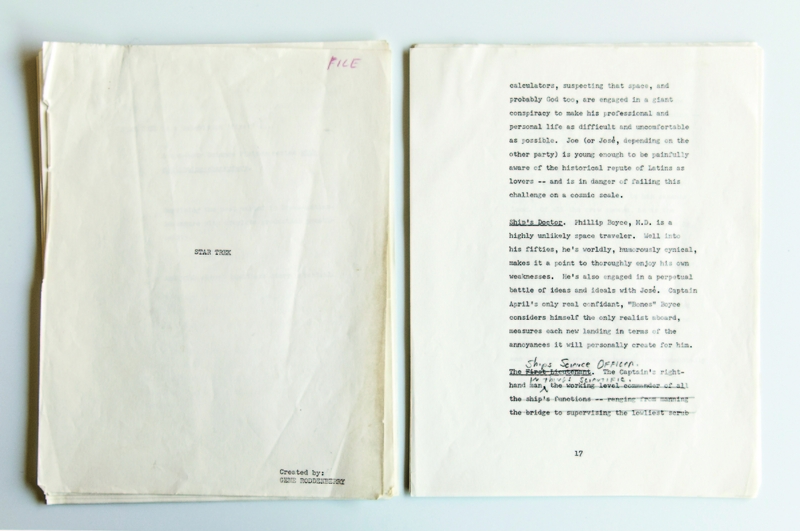 Also in the “unique” category was a copy of Gene Roddenberry’s original typewritten proposal for Star Trek, the Television Series, circa 1966. It was his file copy and had several changes in his hand. Notable in the document are Roddenberry’s handwritten revisions of the description of Spock. In one place he changed Spock’s description from first lieutenant to ship’s science officer, and in another he changed Spock’s designation to “Captain’s right hand man…” The proposal realized $14,760. 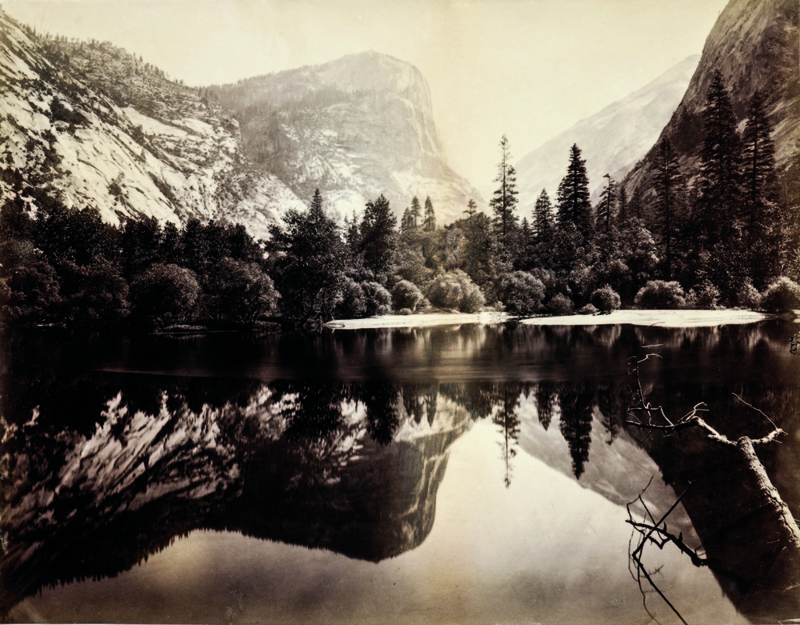 Photography lots included a 1903 album with more than 300 photos of California, which ended up at $2,583, while a mammoth plate albumen photograph of Mirror Lake, Yosemite, taken by Carlton Watkins, circa 1865-66, seemed reasonable at $1,353. For information, www.skinnerinc.com or call 617-350-5400.